Weigh out the flour and it really doesn’t matter what type of flour. 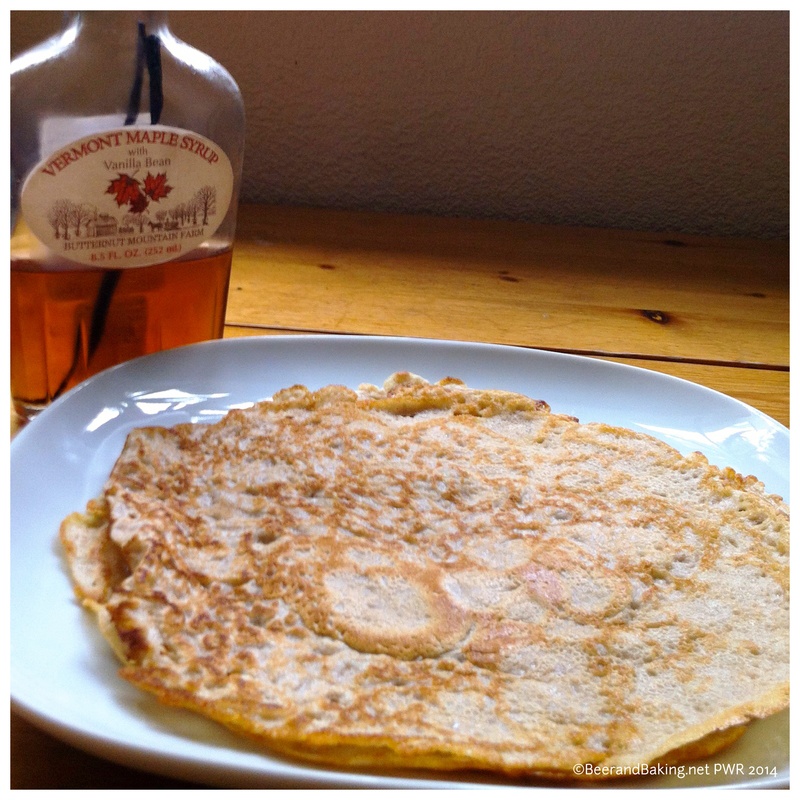 I normally use plain flour, but I have used self-raising and even strong white (bread) flour when the cupboard is bare and the pancakes have turned out brilliantly. Wholemeal flour though does not work as well due to larger particulates and the resulting batter is not smooth. Add the cinnamon to the flour and a good sprinkle of salt and sieve into a bowl. Measure out 200ml of milk in a pint jug and in the same jug top it up to 300ml. The reason for using a pint jug is after the batter is made you can decant back into the jug and it makes it easier to pour. Keep the jug to one side for the moment. Now the biggest factor that will affect the batter is the eggs. As much as supermarkets size eggs to exacting standards (whether that is good or bad is a whole other debate) the freshness and the egg itself make all the difference in the world. 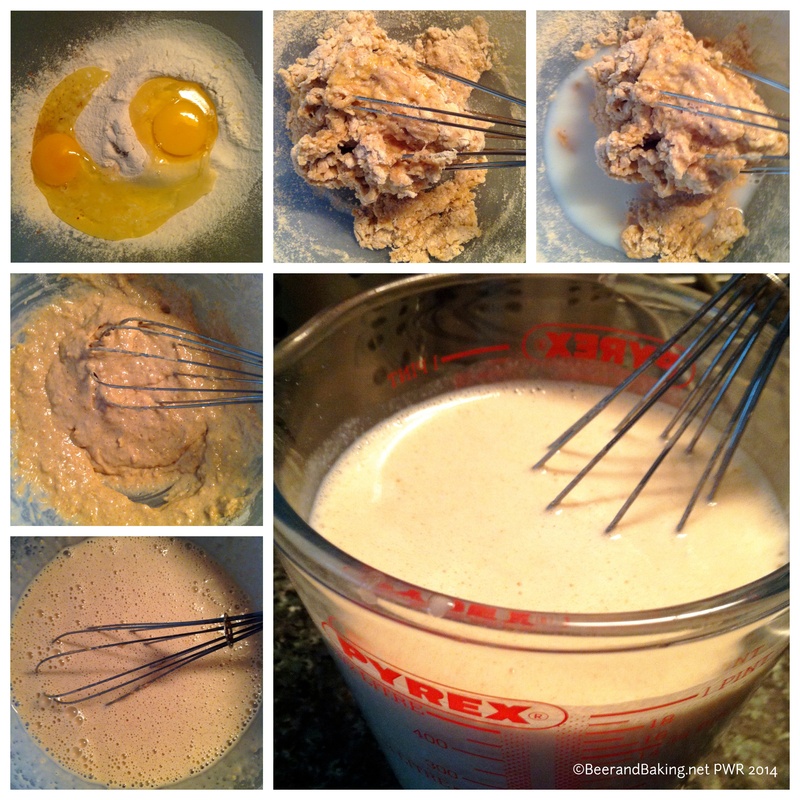 Break both eggs into the flour and start to whisk. The mixture will be very stiff and will form a ball in the whisk. Do not panic if you just have a thick batter, like I say it all depends on the eggs. Add a small amount of the milk/water mixture and whisk it into the batter. Continue to gradually add the milk/water mixture while whisking to form a very smooth batter. Decant back into the pint jug and preheat the frying pan with a drizzle of oil. Just need enough to cover the base of the pan. WAIT until the pan begins to smoke a little (that is a little and not a forest fire) before adding the batter to the pan, it should sizzle a little. The technique to master is tilting the pan while pouring the batter in so it covers the base of the pan evenly. 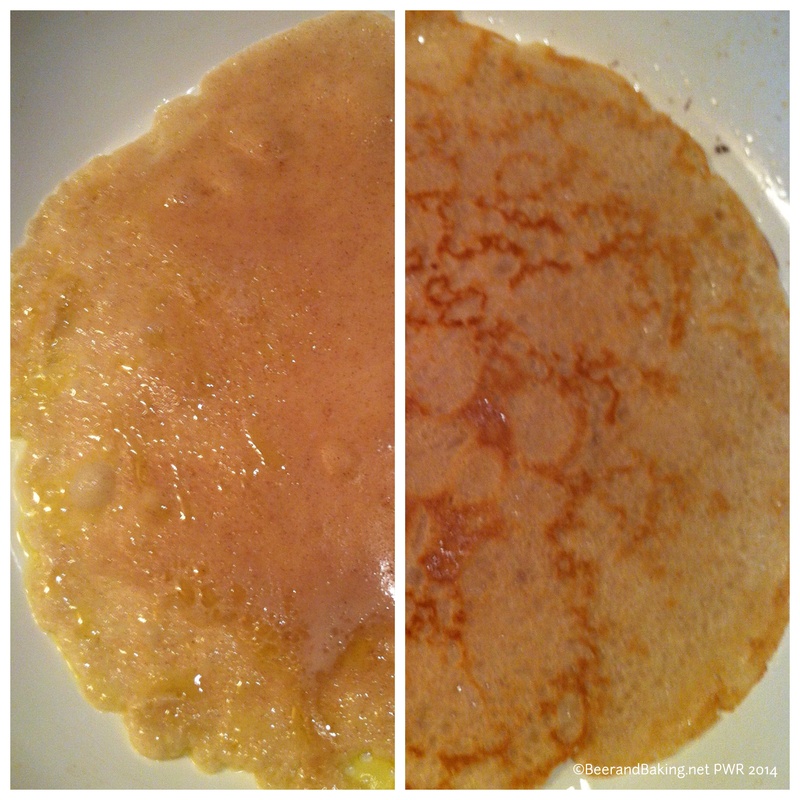 After a few minutes the edges should start to colour and go golden, check the base with a spatula and flip over. Can do the traditional toss or just flip with the spatula. As we like to eat our pancakes together I preheat the oven just enough to warm plates and stack up the finished pancakes until we are ready to eat on one of the plates. Serve with whatever you like. Although I’m not a fan of American fluffy pancakes they do have some good ideas and maple syrup is fantastic. 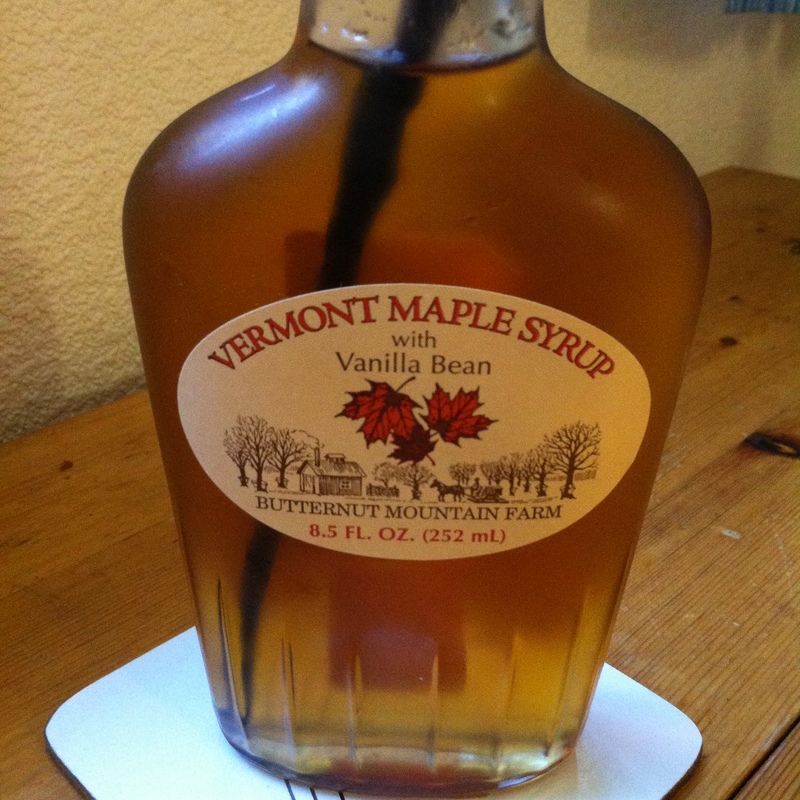 Williams and Sonoma do an absolutely amazing maple syrup infused with vanilla from Butternut Mountain Farm in Vermont. It is an extra special treat any time we go to California and we have to remember to leave room for it on the return journey. It is extremely well sealed with wax which makes transport secure but a faff to get into when you actually want to open it! 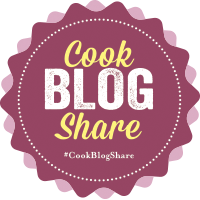 This entry was posted in Food Reviews, Misc, Recipes, Recommendations and tagged Cinnamon, Crepe, Eggs, Flour, Lemon, Maple, maple syrup, Milk, Nutella, Pancakes, plain flour, Syrup, Williams and Sonoma. Bookmark the permalink.